One must always remember that politics (particularly in DC) is a business with a revenue model based on votes instead of dollars and dollars are used to buy these votes. It is claimed by some politicians that the left is waging a war on ‘small business’. This is ironic because Democrats are no less culpable than Republicans when it comes to applying deceptive ‘small business’ tax strategies. A small business is a broadly defined term with surprisingly segregated income. John Boehner recently said only 3% of small business account for more than half of all small business revenue. Why is this? And how could the ‘pull yourself up by your bootstraps- mom and pop business’ not be the people lobbyists such as the better business bureau are here to protect? The answer is one which every rich person knows and almost no middle-class person uses. It is an accounting trick known as the S-corp.
An S-corp prevents tax on corporate profits by using a ‘flow-through’ system whereby business revenue becomes part of the owner’s individual income tax avoiding any type of corporate taxation so long as they have fewer than 100 owners. There is no cap on revenue for the ‘small business’ S-corp with 89% earning more than $10 million per year and over 20,000 small businesses earning annual revenue over $50 million. 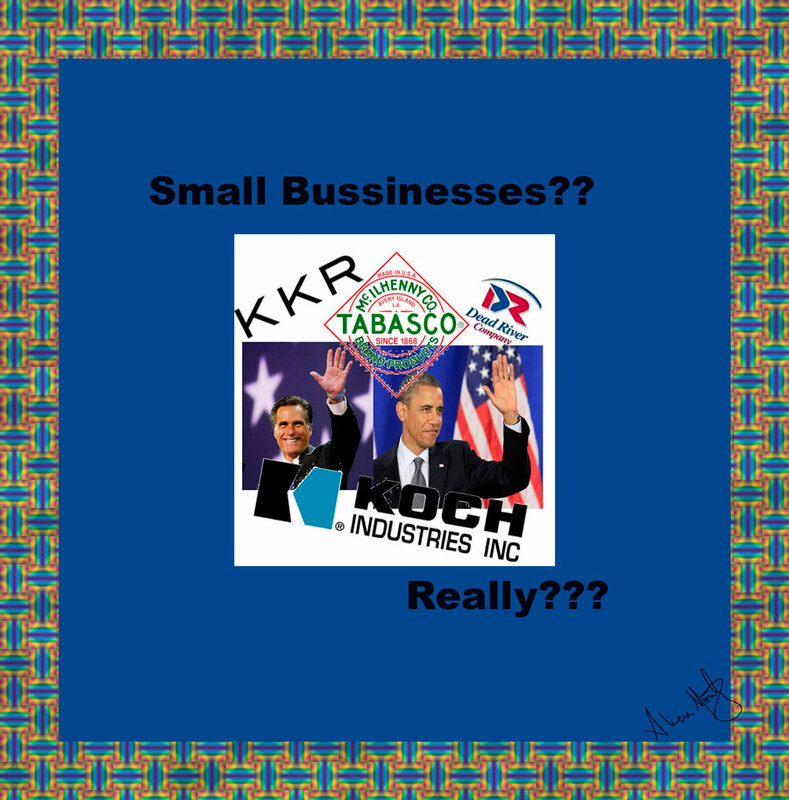 Who are the real small businesses Ted Cruz et al. are seeking to protect? Some of the most notable are Kohlberg, Kravis and Roberts (a private equity firm), Mitt Romney (who avoided $2 million in Medicare taxes), Dead River Company (which has annual revenue of $500 million), Bechtel (an engineering firm with $31 billion in revenue and 49,000 employees), Tobasco (the hot sauce sold in 130 countries), Koch brothers (with 70,000 employees) and virtually every politician and celebrity including President Obama.